Saturday night is the night to have your dancing shoes on! It’s the annual Free Concert with the Rockin’ Hollywoods at the Braemer Golf Course Clubhouse. This is a free event, and all ages are welcome. 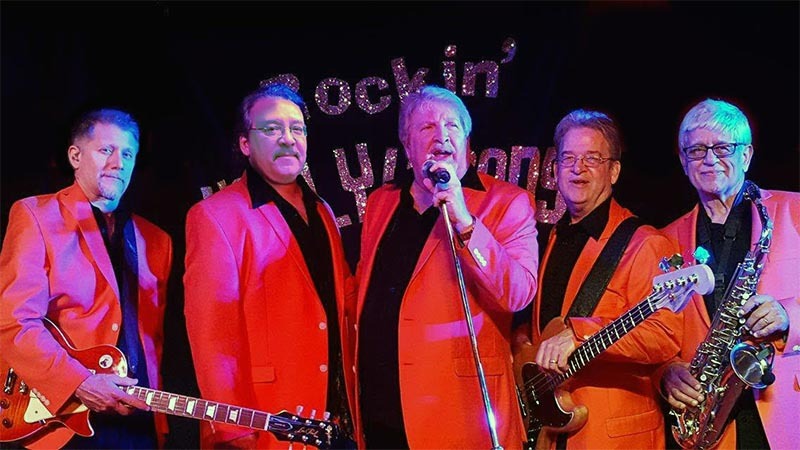 Dance to the music of the 1950s to the 1980s and enjoy a night out as The Rockin’ Hollywoods highlight the fifth-annual Valentine’s Concert Saturday, Feb. 9. The free event takes place in the Braemar Golf Course Clubhouse, 6364 John Harris Drive. Light snacks, beer and wine will be available for purchase. Whether you have a valentine or not, all ages are invited to drop by anytime between 7 and 9 p.m. for dancing and fun. Doors open at 6:30 p.m.
“This is a great way for community members to come together to celebrate Valentine’s Day and the City of Edina!” said Susan Tarnowski, General Manager of the Edina Art Center and staff liaison to the Arts & Culture Commission. The Commission sponsors the concert, which has grown in popularity. The Braemar Golf Course Clubhouse has plenty of space for socializing and dancing, plus lots of free parking.